This was really helpful. I have a toenail fungus on one of my toes, but it doesn’t seem to bother me. It is on the smallest toe and causes it to be really thick. My doctor wouldn’t prescribe anything for me because he told me that the prescription didn’t work well and was really expensive. Hello Melinda! I am so glad that you found my post on “What is Foot Fungus? – Athlete’s Foot Fully Explained” beneficial. However… while often caused by the same particular fungi, toenail fungus is a little bit different than foot fungus. I think that you would enjoy reading my posts directed more specifically about toenail fungus. Here are just some of the articles that I have prepared regarding nail fungus: “What is Toenail Fungus? – I Need Answers“, “Symptoms of Toenail Fungus – Do You Have It?” and “Treatment Options for Toenail Fungus – How Do I Get Rid of This?“. You will definitely find some awesome treatment recommendations that really work and don’t break your bank! ((: Hope this helps! Let me know if you have any questions. I truly am here to help! I’ve had foot fungus for years – right foot only (hoping that my left foot doesn’t find out about it). And, I have tried a number of antifungal creams including 3 of 5 you listed: Clotrimazole, Lotrimin, and Lamisil. None of them worked for the foot fungus – which has recently spread to my toenails. I do have to say that, at least Clotrimazole was most effective several years ago when I contracted ringworm on my arm after doing some of outside yard work. My current treatment is a “full prescription strength” Terginafine Hydrochloride Cream”, 1%. But, the doctor tells me that once contracted, the fungus never completely disappears. This cream has minimized the cracked, sore skin on my sole but, there is no effect on the toenails. 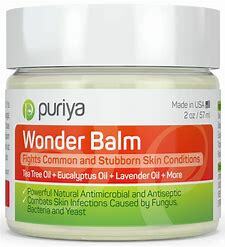 I was really impressed to see your natural remedy, Puriya Wonder Balm! Do you think that it can actually eliminate the problem? Or, would it be just another “band-aid” and just minimize the effects? 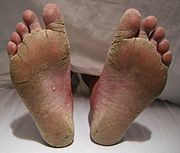 Good morning Jim and thank you for visiting my post “What is Foot Fungus? – Athlete’s Foot Fully Explained“! I am so sorry to hear that you have been suffering for this condition for years now! I see this literally ALL of the time! 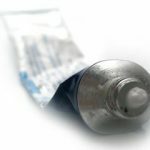 Over-the-counter creams tried… prescription creams completed… all to no avail. And then… patients will listen and finally purchase my recommended Puriya Wonder Balm. They are ALWAYS in total amazement on their follow-up visit because… it TRULY works. If I was not fully confident in this “wonder balm“, I would NOT put my name behind it. That would just be embarrassing! But… I have seen this product work on thousands of patients! As far as total elimination of the foot fungus… give it a try. You will NOT be disappointed. I would recommend twice daily use. Once the foot fungus is resolved, I recommend one of two things in order to avoid re-contamination. You can either continue Puriya Wonder Balm once daily to prevent the re-infection of your foot from particles that you may come in to contact with such as from your shoes. 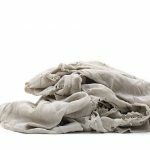 OR… you can utilize products called shoe sanitizers to fully disinfect any remaining fungal particles and then go on about your daily life! My favorite shoe sanitizer is called the SteriShoe UV Shoe Sanitizer. Regarding your toenail fungus, I would definitely recommend an alternate treatment as fighting toenail fungus requires a little bit different technique. 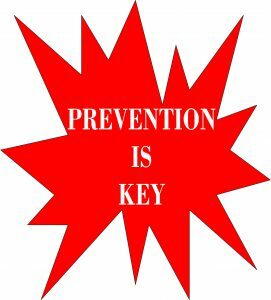 You have to utilize an approach that allows for adequate penetration through the nail plate. Creams, balms and lotions just don’t seem to do the job very efficiently. I have summarized all of the treatment options for toenail fungus in my post: “Treatment Options for Toenail Fungus – How Do I Get Rid of This?“. You should definitely check it out! Well… I hope all of this helps. I am truly here to help! Let me know if you have any additional questions or concerns! And… should you follow my recommendation and give the Puriya Wonder Balm a chance, my readers and I would love for you to come back and let us know your progress! I know you will simply be amazed!